It all began with the handwork of a team of British Railway contractors. In the latter part of the 19th century, they were laying the track from Multan to Lahore, spreading the tentacles of the empire. To their astonishment they found underneath the surface soil a ready supply of burnt bricks which they could use for the construction of railway tracks. They also saw a citadel made of bricks and as they demolished it they found in the debris fine pottery and strange seals. These eventually came into the hands of the head of the newly formed Indian Archaeological Survey, General Alexander Cunningham. On the seals he saw an unknown system of writing. Little did he know that they came from a lost civilization. 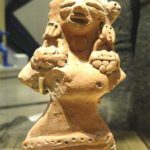 This would only be revealed in the 1920’s, when the British archaeologists, who, after thorough examination, understood that the seals and the pottery came from an unknown civilization, which we now call the Indus civilization. Later, extensive excavations were done by various teams of archaeologists and historians. 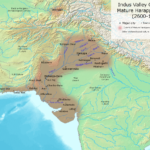 From Afghanistan in the north down to Gujarat in the south they could unearth various Indus sites. 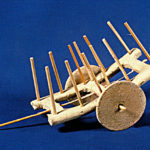 These sites also yielded various art objects which include ornaments of various materials (like gold, silver, ivory, stones like lapis lazuli, bones and shells), pottery, terracotta toys, small sculptures and seals. 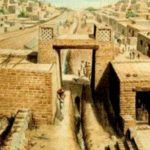 Historians have divided the chronology of the Indus Valley tradition into four eras. These four eras are The early food producing era (7000-5500 B.C. ), Regionalisation era (5500-2600 B.C. 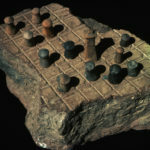 ), Integration era (2600-1900 B.C.) and Localisation era (1900-1300 B.C.). While the first three phases exhibit the origin, growth, the flowering of a great civilization the last era mark the disappearance of the civilization and the emergence of a new cultural tradition that incorporates a much wider geographical area extending from the Indus to the Ganges and Yamuna alluvial plains. 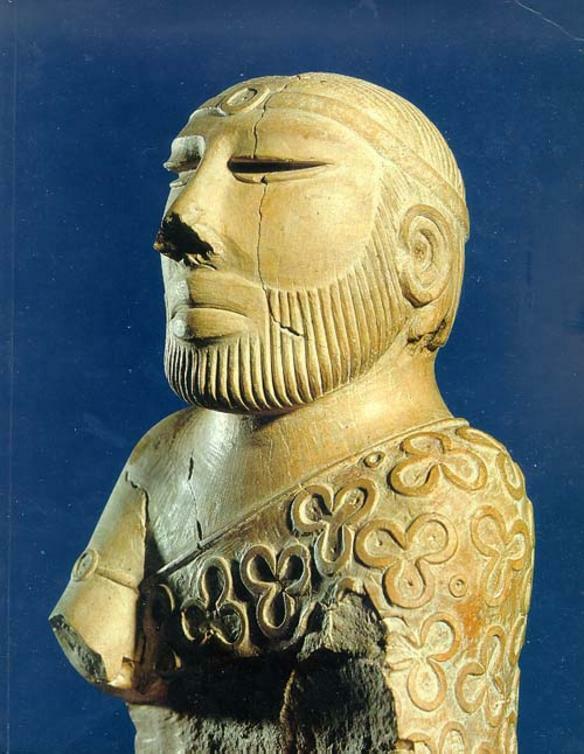 The art of the Indus civilization also show a similar change. From simple utility objects they evolve into more complex ones exhibiting greater mastery of the race in handling the medium. 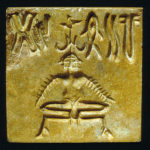 Seals from the Indus, those tiny masterpieces of glyptic art, prove that the Indus people were masters in miniature art. The seals are very small in size almost like a coin or a small rectangular button, but the carvings on it are exquisite and precise exhibiting supreme sense of designing. 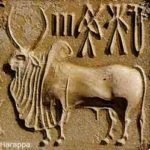 By far the greatest numbers of the Indus seals are carved with figures of bulls, either zebu or the ox, some of them with objects resembling altars. 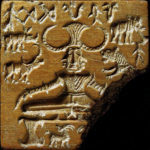 Although the iconography cannot be properly identified, it appears likely that the popular bovine emblem is related to the cult of the bull, which in turn led to ‘Nandi’ and the worship of Shiva. From a modern aesthetic point of view ox iconography is appealing to everyone, so much so, that a new generation bank of India – The Indusind bank found it apt to be used as its logo! 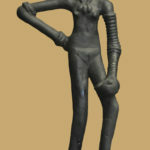 The Indus valley craftsmen are known for their expertise in making ornaments. Ornaments pre-date the seals. 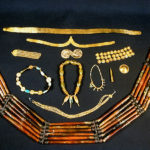 Simple beads and bangles were there even at the earliest chronological division, the early food processing era. The combination of different colours of stone or shell indicate a preference for contrasting colours such as unfired black soapstone and white limestone. Bright orange or purple spondylus shell disc beads were combined with beads made from blue green turquoise, deep blue lapis lazuli, banded sandstone and even polished copper. Wide shell bangles were worn along with bracelets and anklets made from tubular beads of white shell or white limestone. 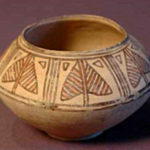 A fair assessment of the Indus art would lead us to the conclusion that the achievement of the Indus people in art were not as spectacular as the early Egyptians or Greeks. But one has to bear in mind that constant floods in the region during the period licked away much of the art objects and artefacts produced by by them. 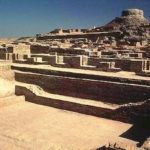 It can be argued that the remnants of the civilization which are preserved by us may not be giving a true picture of what had been achieved by the Indus artists.